When Dr. Gladys Kalema-Zikusoka established Conservation Through Public Health (CTPH), an award-winning NGO and non-profit, she had no idea that she would end up working in coffee. CTPH’s work in gorilla and wildlife conservation focused on preventing and controlling disease transmission between humans and gorillas in and around Bwindi Impenetrable National Park in Uganda by improving the health and livelihoods of local communities, who were depending on the gorillas’ habitat to meet their basic needs. Land encroachment, competition for food, and the spread of disease all threatened the survival of the critically endangered mountain gorilla. What is the story behind Gorilla Conservation Coffee? How did it all come about? Gorilla Conservation Coffee is a social enterprise of Conservation Through Public Health, an award-winning NGO and non-profit. Gorilla Conservation Coffee promotes biodiversity conservation by enabling coffee farmers living around protected areas with gorillas to have a viable livelihood through access to markets, where we buy their quality coffee at a premium price, which in turn reduces their need to enter the forest for food and firewood, decreasing threats to gorillas and their habitats. Furthermore, for every roasted and packaged bag of coffee sold, a donation is given to support Conservation Through Public Health's community health, gorilla health and conservation education programs enabling sustainable financing for conservation. Gorilla Conservation Coffee came about when we realized that coffee farmers around Bwindi Impenetrable National Park, home to the endangered mountain gorillas, were not getting a fair price for their coffee, leading them to depend on the gorillas’ habitat to meet their basic needs to feed their families. Supporting the coffee farmers fitted within CTPH’s three integrated programs: wildlife health and conservation, community health and alternative livelihoods. How does Gorilla Conservation Coffee help conserve the mountain gorillas? Why are they at risk? Gorilla Conservation Coffee helps to preserve the endangered mountain gorillas by providing sustainable financing for their protection by giving farmers a viable alternative livelihood through coffee farming that takes the pressure off the gorillas and their habitats, and where a donation from sales of every coffee bag goes to support community health, gorilla health and conservation programs at Bwindi, which are preventing disease transmission between people and gorillas. Why get into coffee? Have you always been passionate about both gorillas and coffee? I have always been passionate about mountain gorillas, since working with them as a veterinary student in 1994 where I conducted research on parasites in the gorillas and then later started the veterinary unit at the Uganda Wildlife Authority in 1996, where I led a team that investigated the first scabies skin disease outbreak in the gorillas that was traced to people living around Bwindi Impenetrable National Park with limited access to basic health services. This led us to establish Conservation Through Public Health (CTPH) to address the health needs of people and gorillas together. As part of CTPH’s alternative livelihoods program, we decided to help coffee farmers to enable them to also benefit from living close to the gorillas, as not all people can be directly employed in the tourism industry. 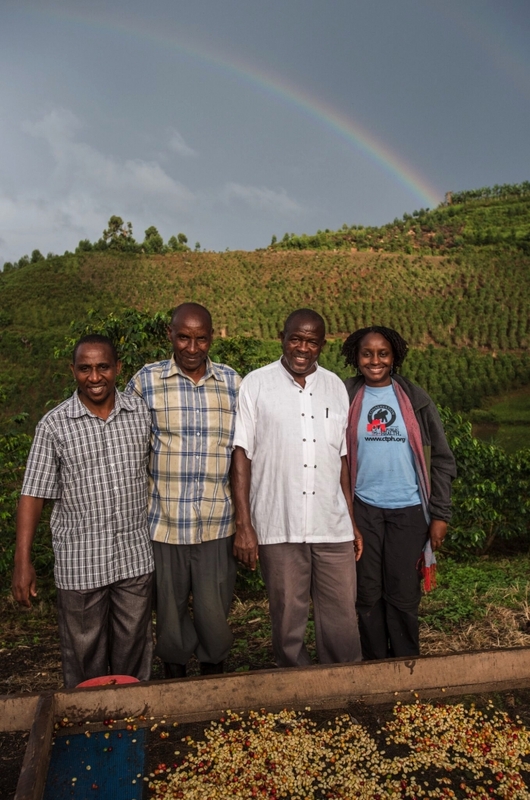 How is Gorilla Conservation Coffee helping to support coffee farmers? We work with farmers from the Bwindi Coffee Growers Cooperative that we helped to create from Arabica coffee farmers found in subcounties bordering Bwindi Impenetrable National Park. By giving them a premium price of $0.5 per kilogram of green beans above the market price, we are helping to ensure a good price and steady market for their quality coffee, enabling them to double their income and bring them closer to livable income levels. Tell us about your Coffee Safaris? Our Coffee Safaris are closely linked to the gorilla tourism industry where after tracking the mountain gorillas, tourists can spend an extra day visiting smallholder coffee farmers where they can get to meet the farmers, and participate in harvesting red cherries from the trees, and see how they are processed with a hand pulper to parchment. Then they get to drink freshly prepared Gorilla Conservation Coffee while getting a presentation of how drinking this coffee is helping to save gorillas. What is your vision for Gorilla Conservation Coffee? My vision is for Gorilla Conservation Coffee to be able to train and buy coffee from as many farmers as possible in subcounties bordering Bwindi, and later scale up to other protected areas were gorillas are found to bring similar benefits. What has been the highlight of your journey with Gorilla Conservation Coffee, or your favourite moments? The highlight of my journey has been discovering that Gorilla Conservation Coffee from the Bwindi farmers is actually of a very high quality and people really like drinking it because this is the first step to making sure that it will save gorillas one sip at a time. 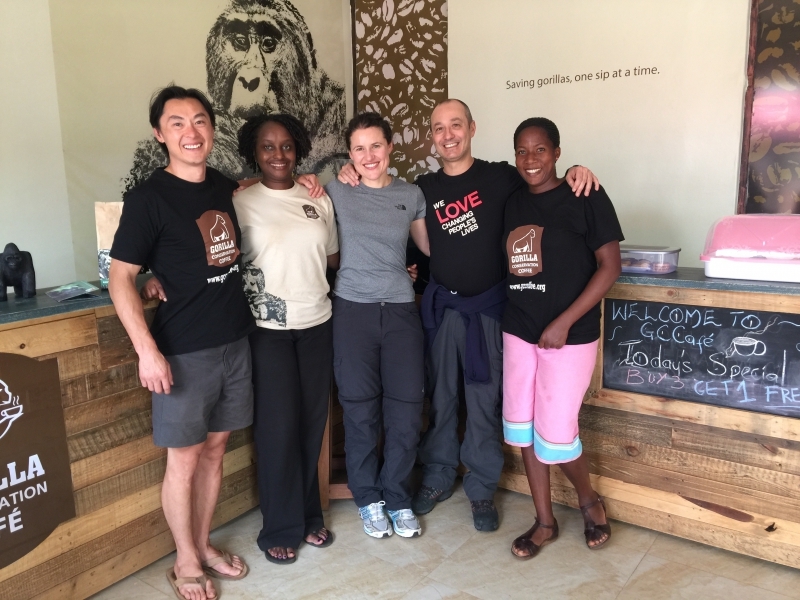 Gorilla Conservation Coffee was among the top 30 coffees that were cupped by Coffee Review in USA in 2018, https://www.coffeereview.com/review/kanyonyi-coffee-blend/ When people visit our Gorilla Conservation Café in Entebbe, it is encouraging to hear them say that the coffee tastes very good and they are happy to be supporting the Bwindi coffee farmers and gorillas. It is also nice that the coffee farmers appreciate that we are helping them to improve on their coffee quality and yield and giving them a steady market for their coffee. Are there any special or unique challenges you’ve encountered or overcome? We have encountered challenges of running out of working capital because the demand for Gorilla Conservation coffee has exceeded the supply. 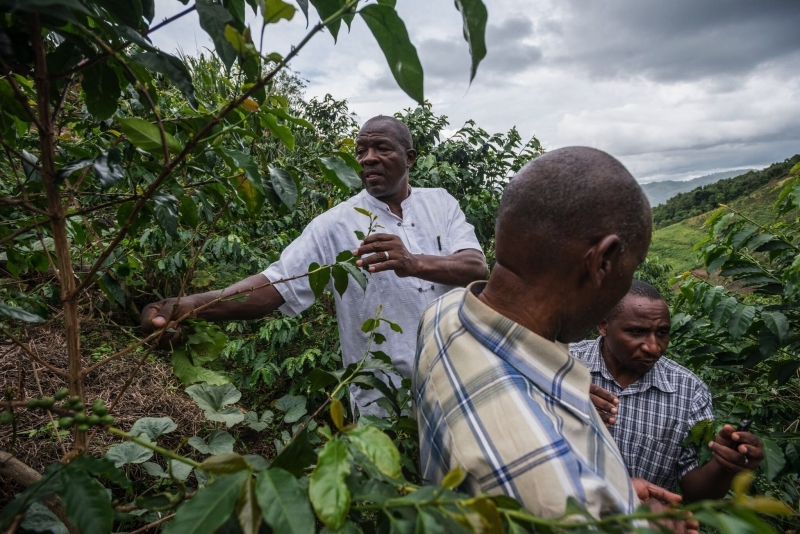 This has also resulted in farmers who we trained in sustainable agricultural practices selling coffee to others because we are not able to buy all their coffee, yet we need it to satisfy the demand for the coffee. Another unique challenge is differentiating Gorilla Conservation Coffee from other coffees that are branded with gorillas, but don’t have the same unique selling proposition. I don’t have a typical day, I work most of the time, but try to get time off to relax and be with my family. When I am in the field working with gorillas and other wildlife, I tend to start the day earlier, than when I have meetings, reports and proposals to write. I also travel to raise awareness and funds to support our work. You established Conservation Through Public Health and Gorilla Conservation Coffee, and have achieved so much – what keeps you motivated through it all? I remain motivated when I see how the local communities’ attitudes and lives are improving as a result of our programs, and how this is contributing to an increase in the mountain gorilla population. 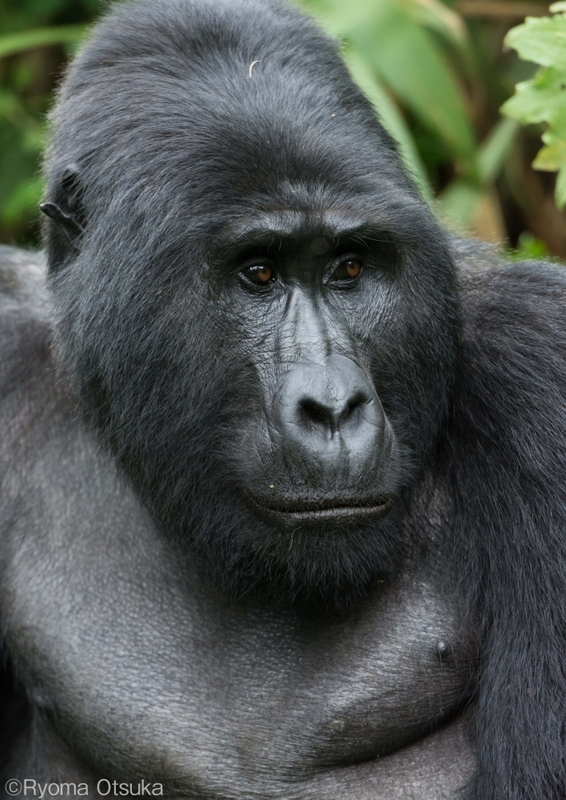 In November 2018, the mountain gorilla population was moved from critically endangered to endangered because of this positive trend. What do you want the rest of the world to know about Uganda, and specifically Bwindi Impenetrable National Park? Uganda has some of the most amazing wildlife, as well as a culture of hospitality, and is most famous for coffee and gorillas. Bwindi Impenetrable National Park also has one of the most interesting and successful models of engaging the local communities in ecotourism and conservation. What’s next? What are you most looking forward to over the next few months and years? We are looking forward to greatly increasing the impact of Gorilla Conservation Coffee by increasing the number of coffee farmers we are working with at Bwindi, having tested the model with the first 75 farmers. 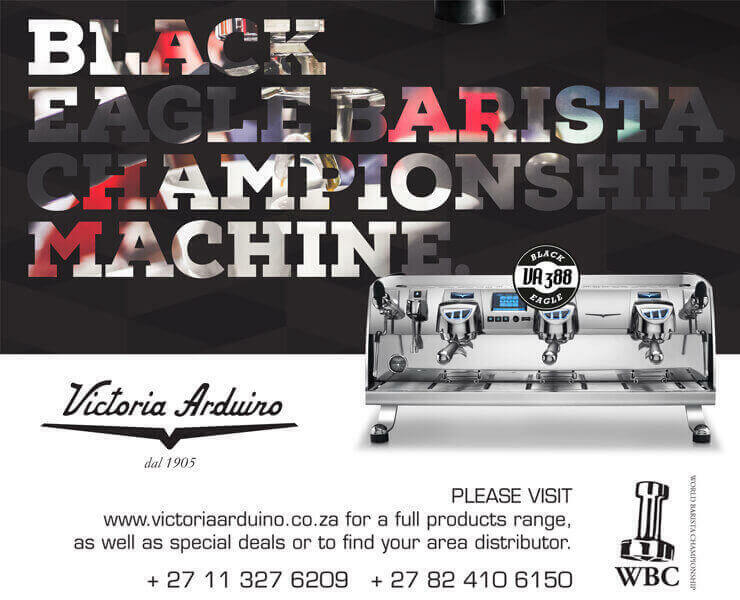 This also means greatly increasing the customers in Uganda and internationally especially in the countries where we have trademarks for Gorilla Conservation Coffee. We also want to strengthen the mechanisms for monitoring and evaluating how our impact enterprise is enabling the farmers' income to increase, and conservation practices to improve including planting shade trees and reducing their dependence on the gorillas’ habitat for food and fuel wood.